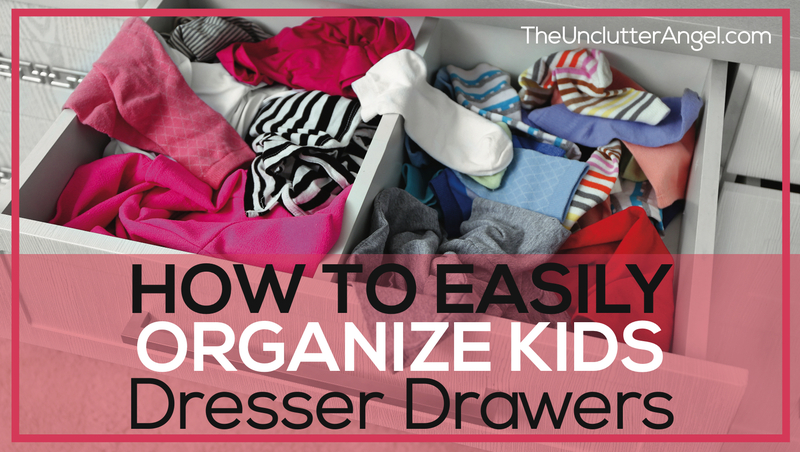 There is so much more to decluttering and getting organized than nice containers and labels. There are some who want very much to make changes in their home. However, they are afraid of what may happen if they make decisions, and they aren’t the right decisions, and then let the items go. 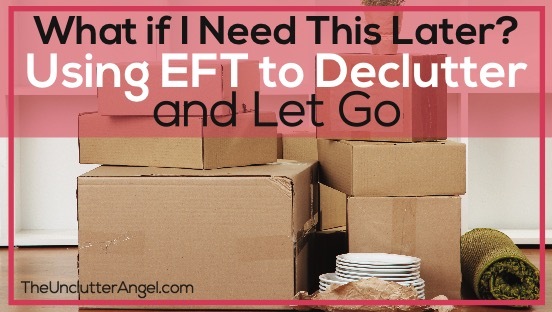 We can work through these fears of needing to keep stuff using EFT and Tapping. Our minds can tell us all sort of stories, even lies, as to why we need to hold onto something. The truth is, is this feeling is based all on fear. It is difficult to make decisions when we are doing it out of the pressure of fear. So it’s no wonder some people have a difficult time making decisions and feel confident moving forward with their decluttering projects. WHY DO WE WANT TO HOLD ONTO OUR STUFF? Let’s not be hard on ourselves! It is confusing as to why we know we want to live differently and declutter, but when we start to declutter, we can feel ourselves emotionally put the brakes on! It makes total sense that we want to feel we have everything we need, when we need it. The feeling we are going for is the feeling of security. Do you like certainty and security? I think most of us do. But being human, living on Earth, nothing is certain or guaranteed. Chances are, if you ever needed something that you got rid of, like information, important papers, or books, you can find a copy somewhere online. 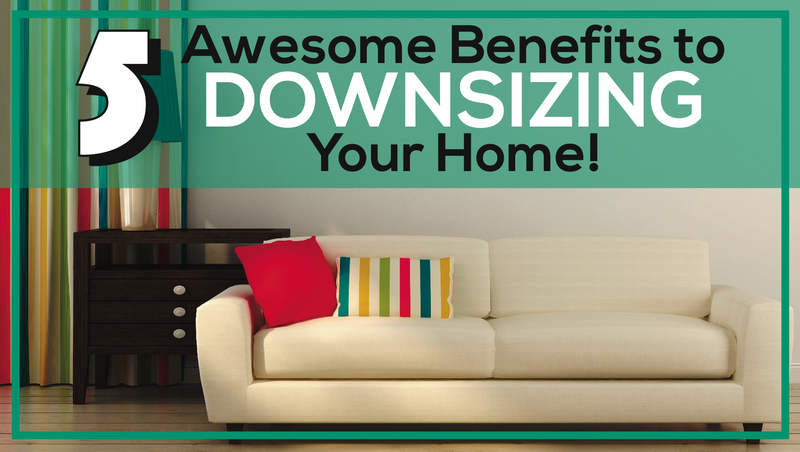 Other items you can document in different ways so you can feel good about letting them go. One rule of thumb I have heard is if something can be found online, in a library, or you can purchase again that is under $30, you can feel good about letting go with worry. That doesn’t mean keep all the expensive stuff. 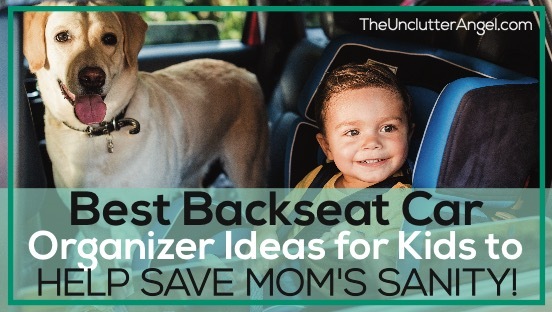 Those items can be sold, donated, given to someone who may get a lot more use out of it than sitting in a storage space. Trauma from past situations can trigger the feeling of needing to hold onto something. Whether it is because of a loss, memory issues, lived through the depression, being broke or poor in the past are examples of reasons some struggle with the thought of letting of go items they feel they will need at a later time. Once you have gone through the items you are ready to part with, sorted and got rid of what you no longer need, you can organize what is left. 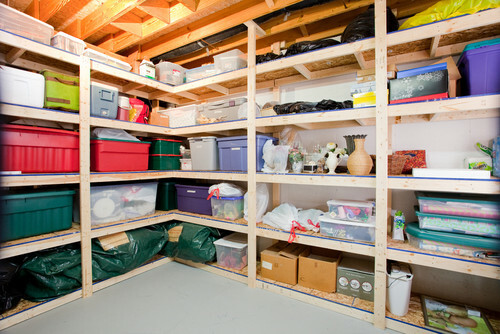 Key is to organize in an efficient way, with the idea that whatever you have left, is important or necessary to keep. Finding ways to document what you have, or preserve what you own in a way that takes up less space and honors your special things, may be a good option! Take photos, write details in a journal or on special paper, of your personal memories and memories of items you are parting with. 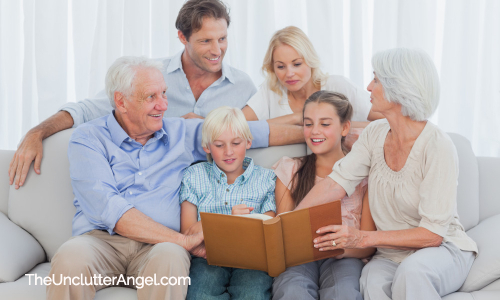 This information documented can be valuable for you as you get older and want to reminisce, but also special to your family as part of your legacy. We never want our loved ones to feel obligated to keep our stuff or find the same value in them that we do. We can document, enjoy what we have preserved, and give permission to our family to do with it what the like when we are gone. Your legacy is you and the time you have spent with them, not your stuff. 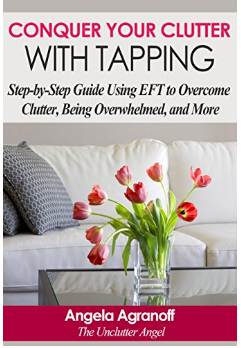 Before you get started, you may want to review EFT, the emotional freedom technique, otherwise known as tapping. You can review the tapping points, what the set up statements are, and how to rate yourself on the emotional scale. Even if you don’t have anxiety about the confusion of wanting to keep something, yet you want to let go, these scripts can help if you. 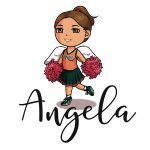 Are you wanting to hold onto other things in your life that aren’t tangible, or have the fear that you are going to miss out on something if you do let go? This can be things we own, people in our lives, activities we participate in. 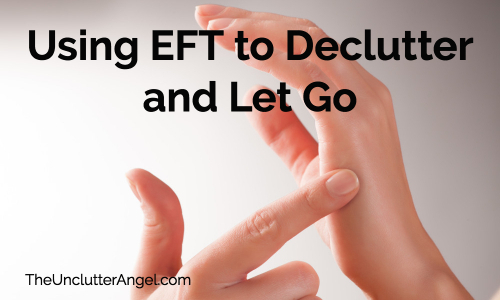 Now that you are familiar with the tapping points and the basics about EFT, we are ready to get started. Before we begin tapping, think about something in your life that you want to let go of, but you are afraid you may need it later. What really weighs on you that needs to be decluttered? Get a very clear picture in your mind and feel the feelings. You may start to feel stress, anxiety, frustration. 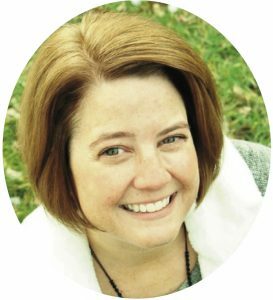 It’s ok. You are stepping into what it is that may be holding you back from decluttering, and keeping you stuck thinking you need to keep it. Rate your emotions on the emotional scale from 1-10. Once you have that rating, you are set to begin! – Even though I am scared at the thought of letting these things go because I’ll probably need them later, I deeply and completely love and accept myself. – Even though I worry about decluttering and getting rid of the wrong things, I deeply and completely love and accept myself. – Even though I am nervous about tossing things I think I may need later, I deeply and completely love and accept myself, and all that I am. Eyebrow: I am so scared to throw this stuff out, what if I need it in the future? Eyebrow: I don’t want to think about my decluttering project! Under Nose: What if I make a mistake and throw away something that is important? Chin: What if I shred a paper that I will need someday? – Even though I am not sure where to start on this project, I deeply and completely love and accept myself. – Even though I am worried I will never get this decluttering project done, I deeply and completely love and accept myself. – Even though I hesitant but willing to go through my stuff and make decisions, I deeply and completely love and accept myself right now. Eyebrow: I have learned that I can document my stuff or find things if I need them later down the road. 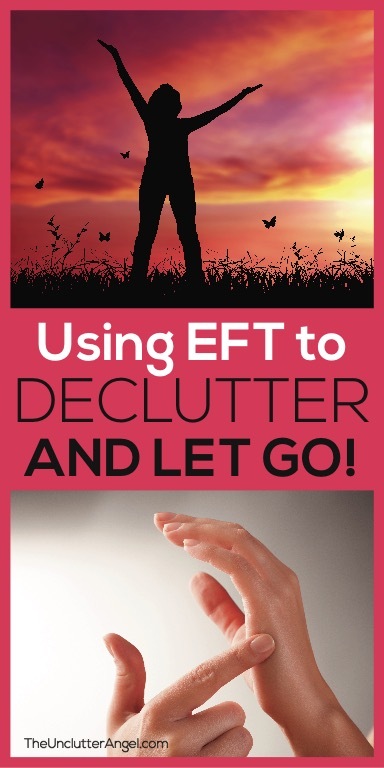 EFT is a very gentle and easy way to address our anxiety and frustrations when dealing with clutter and the decisions we have to make. Keep tapping and be consistent. It may not take one time to get you moving in a positive direction. It may take a few rounds to reveal what it is that’s causing you to feel stuck with your decluttering project. Each time you tap you may learn more about what is bothering you as well as solutions to help you move forward. I know that as I tap, either using a script or tapping on the fly, new ideas will pop into my mind. I get new solutions, new ideas, and gain more clarity! Along with tapping, there are other tools that can help us deal with anxiety and calm our energy in stressful times. I’m excited to share with you more in the near future!